Oulu is a city and municipality of inhabitants in the region of Northern Ostrobothnia, Finland. Take a break from the city and head to Hupisaaret Park and Maakalla. Venture out of the city with trips to Sampo Icebreaker (in Kemi), Raahe Museum (in Raahe) and Syote Ski & Nature Resort (in Syote). There's lots more to do: kick back and relax at Nallikari Beach, examine the collection at Pohjois-Pohjanmaan museo, hunt for treasures at Kauppahalli, and experience the excitement of Oulu Climbing Centre. To see ratings, maps, reviews, and other tourist information, go to the Oulu online trip maker . 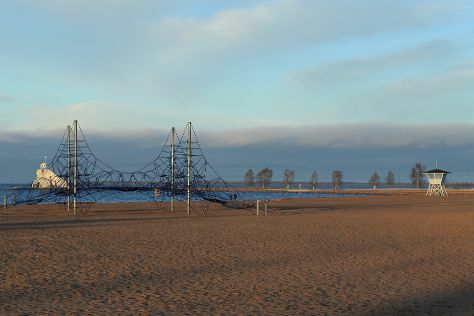 In April, daytime highs in Oulu are 5°C, while nighttime lows are -3°C. Wrap up your sightseeing on the 27th (Sat) to allow time to travel back home.